This year on 9th september will be the 70th anniversary of the landing on our beaches that we have introduced in a previous posts. September 8 Badoglio (itanlian army chief) declares the surrender, calling it “armistice” but without even informing the chain of army command , delivered the Italian armyto the reprisal of the Germans Troops. Iin the Piana del Sele between Battipaglia and Eboli, died the first Italian army officer, General Ferrante Gonzaga of Vodice. 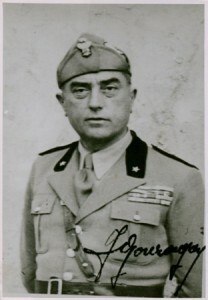 Paradoxically, the general has their own command of the Coastal Division that should oppose the Allies, but on September 8, refuses to surrender their weapons to the Germans and for his loyalty to the Italian State will be summarily executed. On 9 it begins the landing. The chiefs of the two opposed armies are gen. Clark by and Marshal Kesselring but the allied command consists of the commander Dwight Eisenhower and British General Montgomery, classic icon of the war with his black beret. For Lewis Clark was the exterminating angel of Italy, strong words regardeing one of the liberators of our country. Our hotel has the privilege of looking out at the beach who knew the sacrifice of so many young people from all over Italy and to free the world from Nazi-fascism. To pay tribute to all of them the Riviera Spineta has contributed to make the documentary film “Back to Battipaglia, the new city.” made in recent months by Carlo Bruno (www.ritornoabattipaglia.it). One of the most significant parts is obviously the one about the landing, the famous Operation Avalance. The experiment that we tried was to use the documentary as an encouragement to the collection of photographs, videos and documents from family assets, thanks to the involvement of individuals in a spontaneous gathering mechanism through social networks. The experiment was successful and resulted in the formation of a wealth of information and documents that is already being cataloged with the platform of digital archiving (www.xdams.org) that will, we hope incrementandosi, available to the city, an example of collaboration between the public and private sectors in the field of culture. Many videos and photos have been submitted, as I said, by the family archives made available by the owners, with th Istituto Luce videos, of AAMOD, and U.S. government via FedFlix, accompanied by texts interpreted by two very beautiful actresses , Pia Lanciotti and Alessandra Gigli. 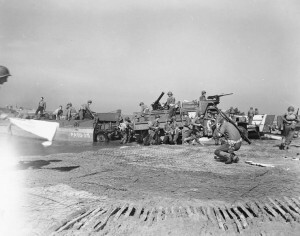 1 Response to " A documentary to remember the allied operation on the Battipaglia beaches "